The various models under the Land Rover umbrella perfectly represent what a luxury SUV all has to offer its driver and passengers. One of the most popular models, the Land Rover Discovery Sport, is no exception. One of the most sought after features nowadays is a suite of advanced safety features. Wondering what you can all expect from the Discovery Sport? Take a look below at what advanced safety features are available in the 2017 Land Rover Discovery Sport! The 2017 Land Rover Discovery Sport is available with a wide selection of advanced safety features and driver aids that work to keep you more aware of your surroundings. Below we’ve listed some of the tech you can find in the Discovery Sport along with a description of what they do! 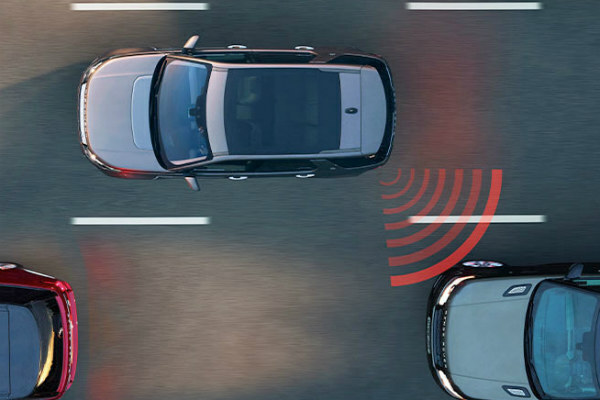 Lane keep assist and driver condition monitor — This system senses unintentional lane drifts and can help steer your vehicle back into its lane. The driver condition monitor portion of it is constantly analyzing your driving and can even detect when you’re too drowsy. If it does, it will suggest that you take a short break from the road. Autonomous emergency braking — This feature uses a forward-facing camera to determine if a collision is imminent. If a collision is detected, the vehicle will issue an audible warning and a visual one on the instrument cluster. If the driver doesn’t take action, the system will then apply the brakes itself. Blind spot monitor — Checking your blind spots is important, but if traffic is moving quickly and many people are changing lanes, it can be difficult. This system provides a helping hand by using radar sensors to detect fast moving vehicles that are approaching your blind spot. Park assist — Have trouble with parking? This feature can aid you when trying to make a parallel or perpendicular parking in the tightest of spots. Visual info will let you know how much gas or brake to use while the car turns the wheel itself. 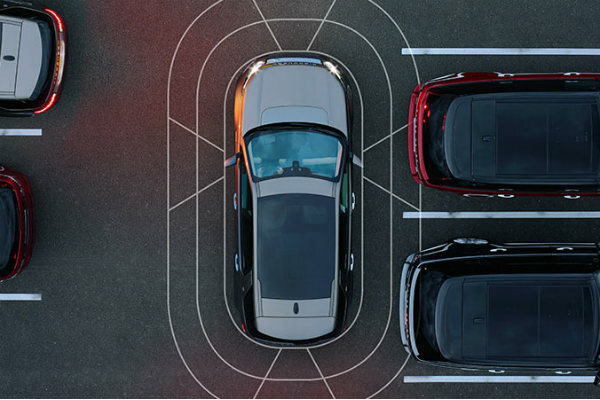 Surround camera system — The surround camera system in the Discovery Sport helps you stay completely aware of everything surrounding your vehicle. You can use it to see things that are out of your regular vision as a driver or to help maneuver around in a tight driving or parking situation. This entry was posted on Thursday, April 6th, 2017 at 6:45 pm	and is filed under Discovery Sport, Safety, Technology. You can follow any responses to this entry through the RSS 2.0 feed. You can skip to the end and leave a response. Pinging is currently not allowed. There are number of model introduces by Land Rover.The land rover initiate luxury SUV for all his driver and passengers. One of the most popular model is”Land Rover Discovery Sport”. It contains lots of safety features to keep the driver most concern and aware of his surrounding.The most appealing feature is Autonomous emergency braking-This feature use a forward facing camera to regulate,if an accident or hit take place.If any obstruction is detected,the vehicle will alert the driver vocally by giving a sound and with a warning light.If the driver doesn’t take an immediate action,the system will then apply the brakes itself. I want to buy Lane keep assist , driver monitor, park assist, blind spot monitor, surround camera system and new dash viveo for my Discovery Sports 2016. I am currently in UAE. Let me know if i can fit to my car.